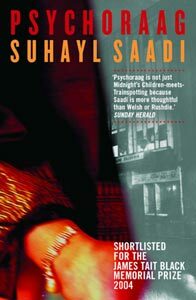 Anne Donovan’s Buddha Da (Canongate, 2003) and Suhayl Saadi’s Psychoraag (Black & White, 2004) are two novels set in multicultural, twenty-first century Glasgow. Buddha Da tells the story of the events that befall Jimmy, his wife Liz and their daughter Anne-Marie when he discovers Buddhism, and Psychoraag explores the life of Zaf, a Glaswegian DJ whose parents immigrated to Britain from Pakistan. The language of these novels is both local and global — faithful to its Scottish context yet representative of international urban diversity. In Psychoraag, Zaf’s complex identity is expressed through the disembodied voice that he becomes when he is playing the role of radio DJ. His brand of Glaswegian is uniquely diverse, containing terms from Urdu, Punjabi, Arabic, Scottish Gaelic and other languages: ‘Salaam alaikum, sat sri akaal, namaste ji, good evenin oan this hoat, hoat summer’s night! Fae the peaks ae Kirkintilloch tae the dips ae Cambuslang, fae the invisible mines ae Easterhoose tae the mudflats ae Clydebank, welcome, ivirywan, welcome, Glasgae, welcome Scoatland, tae The Junnune Show’.1 In many ways Zaf’s speech can be seen as a new take on the traditional practice of ‘decorating’ language by peppering it with prestigious terms borrowed from other cultures. Just as medieval Scottish writers gilded their verses with Latinate vocabulary, and poets of the eighteenth-century Vernacular Revival tipped their hats to Augustan English, Saadi employs a new, multi-faceted form of aureate Scottish prose. The tale takes place over several hours in ‘real’ time, but Saadi takes the reader on a much longer psychological journey through history, international politics and social geography. While the experiences of the children of immigrants can be generalised to some degree, Zaf is not simply an allegorical figure or a vehicle for a single point of view. When we meet him, he has reached a crisis point and is struggling with his closest relationships and his identity. During his radio show he asks: ‘who knows whit’s tae come, samaeen? Who knows whit lies ahead? It’s hard enough tryin tae figure oot whit lies behind!’2 Zaf’s multi-lingual comments are also multi-layered, loaded with personal double-meanings and broader rhetorical questions. Psychoraag makes use of the full range of the Scots-Scottish English linguistic continuum, though the narrative is noticeably lighter in its use of Scots than the dialogue. In some places, the Scots becomes especially muted, with only the occasional grammatical marker giving a hint of locality or accent. Zaf is particularly disturbed when his white girlfriend describes him as her ‘brown god’. In articulating his reaction, the Standard English syntax of the narrative adds a clinical quality to the words: ‘he had always tried to see their relationship as colour-blind but, that night, he had realised that it could not be. Only in madness might such a thing be possible. She needed his brown-ness — just as he needed her white’. Then, as Zaf’s pride subsides, a hint of a more personal voice begins to creep back in: ‘They were both conquerin territories’. 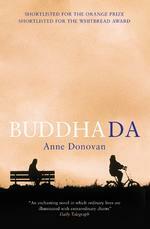 The narrative voice in Buddha Da belongs alternately to Jimmy, Liz and Anne-Marie, and is Glaswegian Scots. Standard English is reserved for the speech of specific characters. Jimmy’s natural Scots adds an unpretentious tone to his statements about religion: ‘ “Ah’m just gaun doon the Buddhist Centre for a couple hours, … have a wee meditate, try it oot, know?” ‘ Yet when he encounters others who have found different ways to express a blending of cultures, he is sometimes critical. When he goes to a Buddhist retreat, he has to wrestle with his reaction to a monk called Vishana: ‘Mibbe it wis his English accent or the way he wis dressed in they robes when he wisnae a real Tibetan or that, but he just got right up ma nose’. Jimmy is often initially uncomfortable with speakers of Standard English (including Scottish Standard English). He feels patronised by Vishana and replies self-consciously when Barbara identifies him as a Glaswegian: ‘ “And me wi ma posh voice on” ‘. Donovan is acutely aware of the insecurities that Scots speakers often have about their own language. She also explores the question of how Scotland and its languages are (mis)perceived, when Anne-Marie and Nisha fail to find either Tibet or Scotland in the library’s atlas. Anne-Marie is clearly unhappy with this state of affairs: ‘it [Scotland] wasnae [there]. No as a country anyway, just part of the UK. (Capital: London. Status: Monarchy.) And nae flag either. Or languages of wer ain’. Donovan has done her research carefully. Some of Jimmy’s experiences are highly reminiscent of Buddhist tales in which pursuers of enlightenment have the stuffing knocked out of their spiritual preconceptions in order that they can escape the prison of ego. Near the end of the novel Jimmy is faced with a particularly tough lesson, ultimately (and perhaps karmically) triggered by his leaving his family to pursue a ‘purer’ and more ‘spiritual’ path. Jimmy is not the only character to undertake a journey of self-discovery. His daughter Anne-Marie learns to negotiate several dramatic events and many different cultures. Her parents’ separation, her grandmother’s death, her mother’s Catholicism, her father’s Buddhism, and her friendship with Nisha, whose family are Sikh, all broaden Anne-Marie’s perspective, giving her a new identity which she assertively pursues through her musical interests. The song that she and Nisha record is a triumphant synthesis of different influences, Glaswegian and Indian, Latin and Punjabi, old and new, Catholic and Buddhist. Nevertheless she is apprehensive about her parents’ reactions to it: it occurred tae me that ma daddy couldnae stand sampled music so he’d probably no like it and ah wondered if mammy would think it was a bit disrespectful usin the ‘Salve Regina’ that way, especially since ah’d sung it at ma granny’s funeral. But her eclectic creation succeeds both locally with her family and friends, and internationally, in a BBC competition. Anne-Marie is a figure of harmony and hope, who has learned to approach new and changing situations with more curiosity than fear. In the post-9/11 western world, where simplistic views polarise cultures, tales such as Psychoraag and Buddha Da can provide us with a moment of refuge. The characters may be read as archetypes, but cannot be dismissed as stereotypes. We are fortunate that the modern, vibrant, multi-lingual and multi-talented literary landscape of twenty-first century Glasgow can accommodate so many different voices. 1 Psychoraag includes a glossary, from which the following definitions may be found: salaam alaikum a Muslim greeting, literally ‘peace be upon you’; sat sri akaal a Sikh greeting, literally ‘truth is eternal’; namaste ji a Hindu greeting, literally ‘the spirit in me bows to the spirit in you’; junnune ‘madness, a trance-like state’.